Apple's Planned Obsolescence: Should iPhone Buyers Be Worried? Apple’s Planned Obsolescence: Should iPhone Buyers Be Worried? Apple, the biggest publicly traded company in the world, has a net worth that is north of $900 billion. The secret to their massive success as a primarily consumer focused electronics brand lies in the brand image that they have managed to build for themselves. Apple loyalists have for years associated the brand with being reliable, trustworthy and secure. All of these values come under fire due to the recent allegations that have been levied against the Cupertino giant. 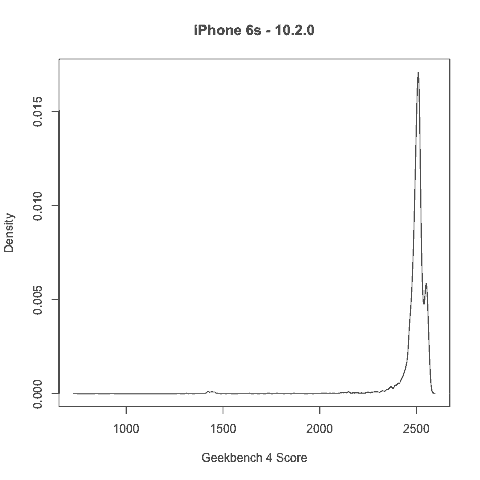 While there has always been plenty of empirical evidence suggesting that Apple had been slowing down their older generation of iPhones, there had never been any comprehensive research done to back these claims up. As a result the ‘planned obsolescence’ term had only been something that had been prevalent in niche tech-enthusiast circles. 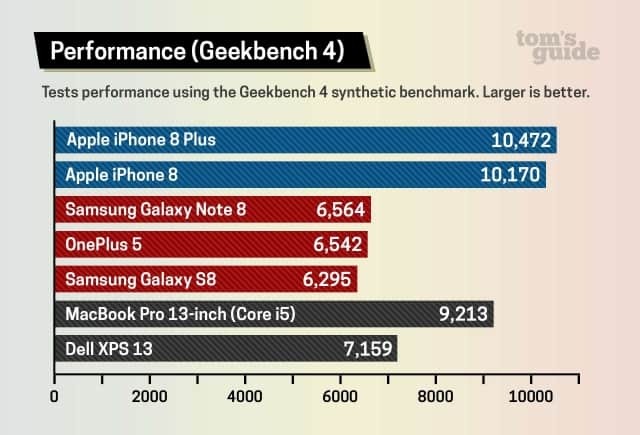 All of that changed with the recent benchmarks from Geekbench which proved beyond any reasonable doubt that Apple were indeed throttling their older devices. How does it affect you, the end consumer? Well the obvious answer is that it makes your older devices slow so that you are forced to look for newer alternatives. But beyond the obvious, there could lie some more obscure reasons as to why Apple would resort to such drastic measures. And in today’s article, we investigate the real reason why Apple has to slow down their iPhones! 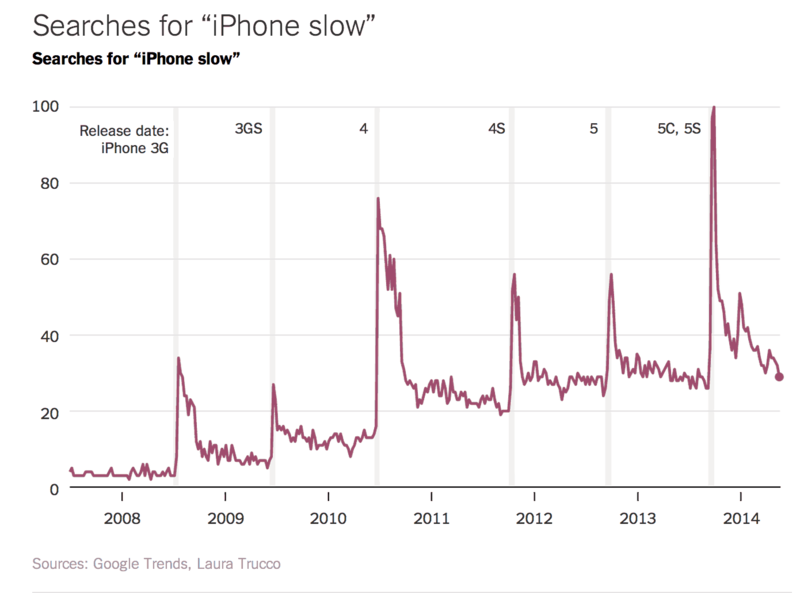 Why Does Apple Need to Slow Down iPhones? 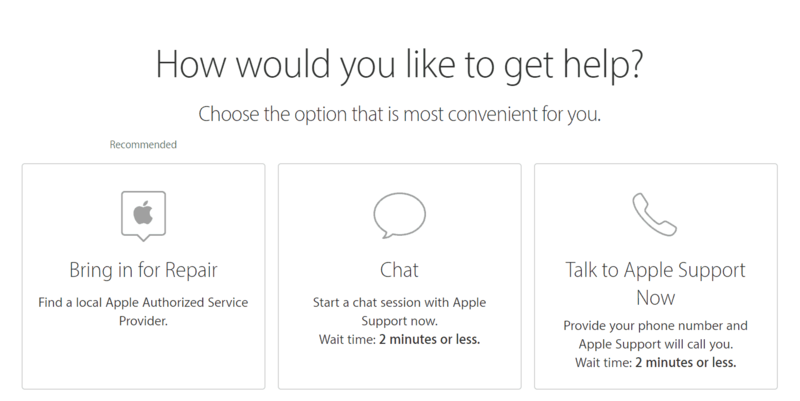 The past couple of years there have been numerous complaints from iPhone users. This was especially prevalent in the users of the iPhone 6 and 6s as they often complained of increasingly worse battery life and random shutdowns. In fact, there have been some recorded instances of iPhones shutting down with around 30-40% of the battery life still left. This had led to a fair few disgruntled iPhone users and Apple, after looking into the matter, acknowledged that this was indeed a problem. Apple decided to deal with this issue by offering a free battery replacement for users who were hit the hardest. Incidentally this was regarded as a short term solution as Apple realized that the cost of replacing batteries in all previous generation iPhones would end up becoming a huge money drain. This is why when new versions of iOS 10 and finally iOS 11 came out, Apple decided to implement a software fix that would prevent the iPhones from accidentally shutting down. What was this software fix? Well, for devices with older worn out batteries, Apple reduced the clock speed of the processors inside those devices. This effectively reduced the power draw from the A9 chip inside the iPhone 6s and thus prevented the sudden shutdown problem that many users had been facing. But whenever companies try to fix a hardware problem with a software fix, more often than not there are serious repercussions to it. In case of the iPhone 6s it was manifested as huge performance hits that drastically reduced the phone’s performance metrics. This chart represents the single scores of various iPhone 6s devices while running the iOS 11.2 update. The peak to the rightmost corner represents the original score that a mint condition iPhone 6s scores on iOS 11.2. But as we go further to the left we see that there are several more peaks scoring considerably less with peaks at around 1,000 points which is a 60% decrease in performance. While benchmark scores might not exactly reflect real world experience, a 1,500 point drop in single core performance can be easily felt in day to day usage such as opening and closing apps and multi tasking. This means that newer devices like the iPhone 8 and 8 Plus and even the $1000 iPhone X will meet with the same fate. Thus because of the limits to which Apple have been pushing their devices, the batteries in all iPhones are prone to failure in little over a year. In just 2017 itself, Apple has sold 223 million iPhones and even if we consider a flat 50% rate of failure in these devices over the course of the next year, a free battery replacement would cost Apple to the tune of $8.8 billion at the price of 79$ a piece. That is a huge sum of money and is probably one of the principle reasons why Apple choose to intentionally cripple their older iPhones instead of offering customers a free battery replacement. But as we now know, the media outrage and the angry backlash from customers meant that Apple had to come out with an apology and the company in a bid to make things better reduced the price of the batteries from 79$ to 29$ a 63% drop in price. Ironically enough it is nearly the percentage drop in performance that the worse iPhone users had suffered. What Should Older iPhone Users do? 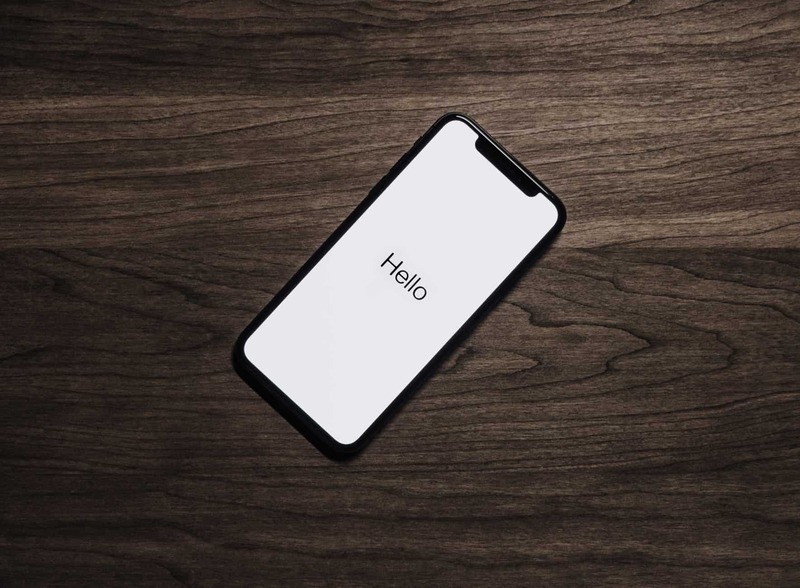 There are a number of precautions that iPhone users especially ones who are using older devices should look to implement to further the usability of their device. But before we get into those measures, here’s a quick #protip for those iPhone users whose phones have been rendered unusable due to how slow they have become. Head on over to this link. The cost for replacing the battery is $29 and this discounted rate is available for anyone who wants to replace their batteries regardless of the condition it is in. This discounted rate only applies to iPhone 6 and later generations and the although the amount varies from country to country, the discount on replacement batteries is available worldwide. Now what if you are an iPhone owner but you haven’t yet seen any significant degradation in your battery life? Well in that case here are a few pointers that you can keep in mind to optimize the discharging capabilities of your battery. 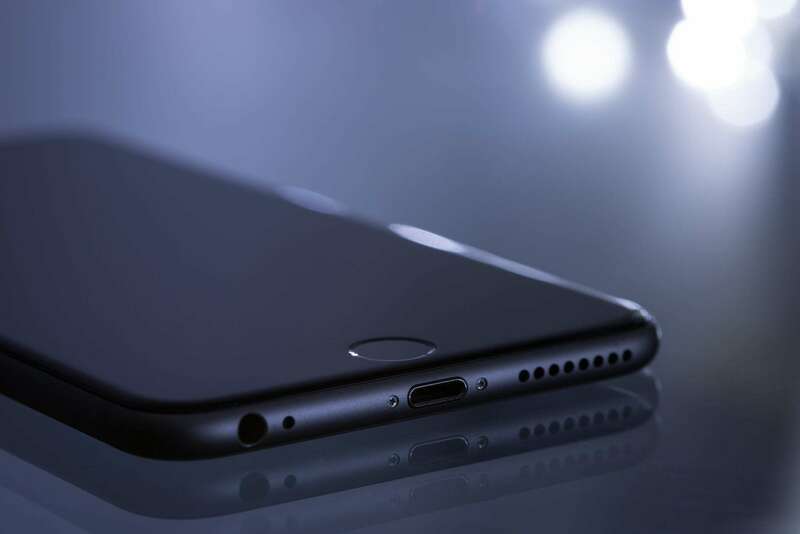 Avoid exposing and operating the iPhone in extreme temperatures as that leads to throttling of the CPU and a strain on the smartphone’s battery. Perform regular charge and discharge cycles and avoid leaving your iPhone on the charger for a long time even after it has been fully charged. And if you have any of the newer iPhones-the 8, 8 Plus or X; avoid using wireless charging since it adversely affects battery life due to heat build up. There is a new feature that would be rolled out in an upcoming iOS update that would allow iPhone users to monitor the health of their battery directly from their phones. So make sure your phones are updated and keep an eye out for your battery health. 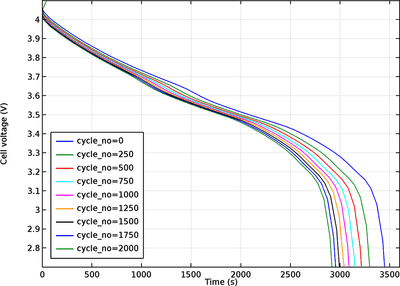 In fact this chart here explains how in almost every Li Ion battery, with time as the number of cycles begin to increase, the overall capacity of the battery drops down gradually. This is true for all smartphones regardless of brand and make. However this drop in performance should happen gradually and no other brand uses that as an excuse to slow their phones down. Even Android smartphones OEMs like Motorola and HTC have been manufacturing phones with non user replaceable battery for ages but none of these manufacturers slow down their devices. 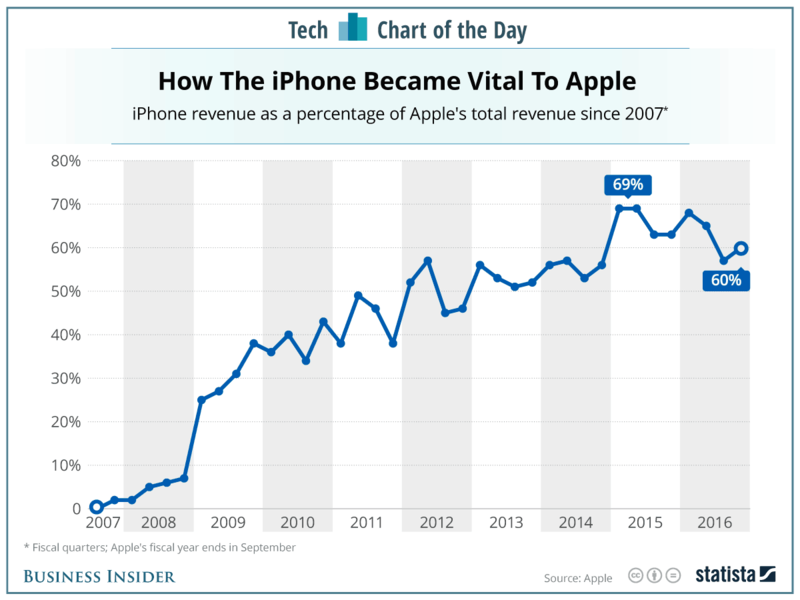 As the above chart clearly demonstrates, Apple earns over half of their revenue from selling iPhones. 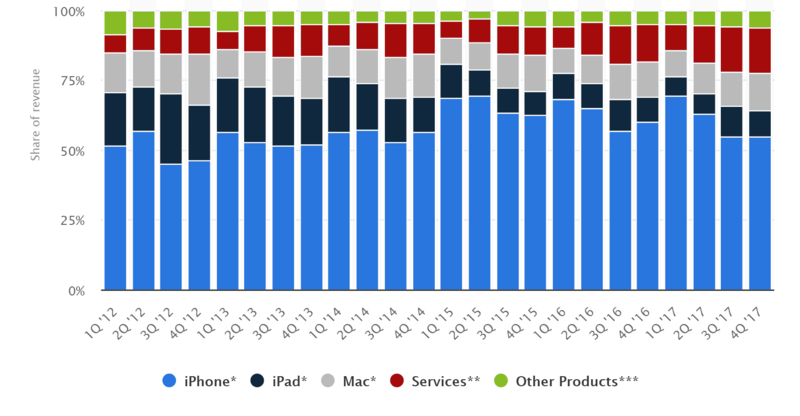 In fact in the Q4 2017, Apple’s iPhone had been the lion’s share of their revenue raking in over 54% of their total revenue. 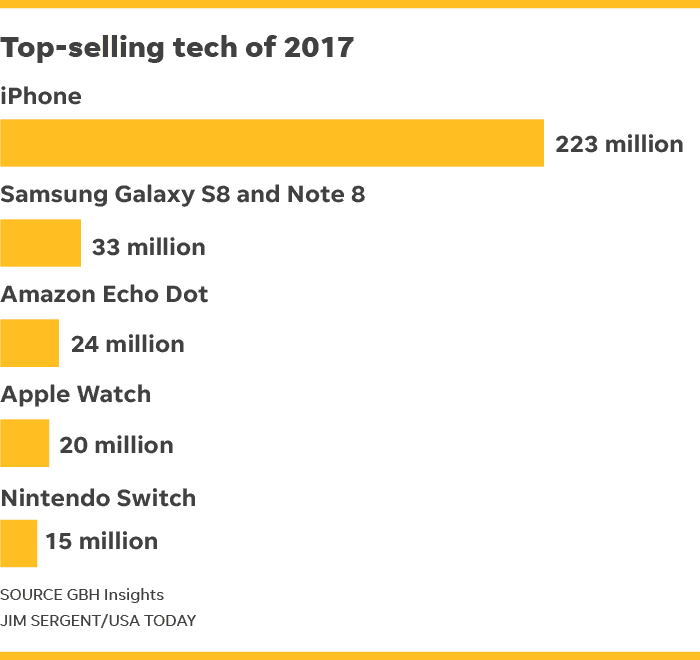 With a total of 46.7 million iPhones sold in Q4 2017, there is no doubt that iPhones are the moneymakers when it comes to Apple. So it is in Apple’s best interest to continue ironing out the kinks in the iPhone hardware. The battery issue though might be one that stops the juggernaut that is Apple right in its tracks. And it is this very reason that might cause some worry for iPhone buyers present and future. For a long time Apple has been reigning as the champion of mobile SoCs with their custom in house chips destroying competing Android flagships. In fact as these numbers show, there is daylight between the A11 biocnic and the Snapdragon 835. But the question here remains that is it justified for Apple to keep pushing their hardware so hard if it takes this giant a toll on their battery? Well the answer to that is still up for debate and that is something we would want our readers to comment on. Would you rather have a slower iPhone if it means that it doesn’t have to replaced in a year? Or would you not want to compromise on speed? For our parts we feel that there is no easy solution to this problem. We have seen that Apple’s fortune is tied to their iPhone sales and this is one controversy that they can ill afford. After all despite initial fears, the iPhone X has taken off very well and has been flying off the shelves worldwide. But if these same slowdowns were to happen in a $1,000 iPhone X, I think Apple might have to bear the wrath of more than a few irate customers. After all this is the most expensive iPhone till date and Apple has a lot riding on the success of it. As for iPhone users, this is certainly a worrying time. The fact that Apple can at any time cripple your hard earned purchase with just an OS update is something that will keep many potential future buyers away from iPhones. Having said that, barring a miraculous leap through in battery technology, there is nothing much Apple can do for their phones other than warn their customers about battery replacements. If all of this seems quite grim, it is because it actually is. Planned Obsolescence or not, iPhones are like any other commercial commodities and have to be replaced after every few cycles. The fact that paints Apple in the wrong light is that no one generally thinks their phone’s battery is wearing out if they encounter performance issues. In fact most customers who have faced this slowdown would probably have just upgraded to a new iPhone instead of buying a replacement battery. 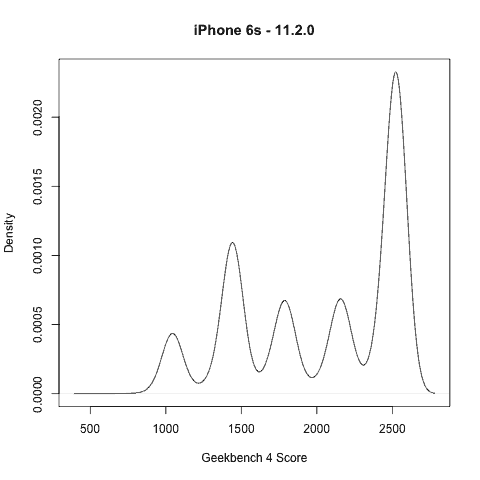 This is where Apple’s motives are brought into question as their silence on this issue till the Geekbench reveal and the sudden spike of iPhone slowdown searches around a new iOS release seems to point towards a much more sinister plan. All that though is mere speculation and for now Apple has cleared the air and their users should be soon able to monitor their battery health through their devices. While not the best step as most smartphone users would probably have liked some degree of control over how much Apple can slow their devices down; this is certainly a start in the right direction. If the annual or biannual cycle of iPhone upgrades isn’t for you, then you might have to shell out periodically for a new battery or be stuck with a slower device. An alternate is switching to some of the better Android devices, we cover quite a lot of them on our blog and you can check them out here!